“I found that Gordon’s Guitar Gym took me onto another level of finger board and picking dexterity whilst learning to stay in time with varying time signatures. The lessons can be very ability stretching but at the same time very enjoyable and light hearted. Gordon ensures you get the most out of his expertly constructed exercises which open up various runs using the entire neck and strings of the guitar which also includes string hopping. I found that by practicing the exercises in between each Gym session benefited me in getting the most out of this course. I would say you should be able to play most common chords to gain the most from the Guitar Gym. However, that said, you are never rushed in the gym sessions and if your ability is not quite as good as some of the others in the class, Gordon will spend time with you to help you along and give encouragement. 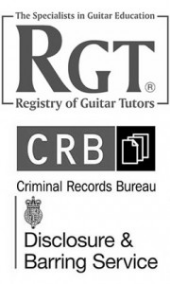 ” The Guitar Gym was a brilliant and rewarding experience for me. It is a great way to accelerate guitar skills in a relaxed but purposeful way.